On eBay you can find “Airborne letdown rope” the description says its 5/8 thick and it looks to be the correct braided cotton. That might be your best bet for rope. I have been told that some of the letdown rope being sold is 3/8 thick which would not be the correct thickness for handcart ropes so....buyer beware. As for the crimps, you might want to make them yourself. I don’t have the original specs but I am sure someone on the G could provide them. I remember seeing a post here that had measurements, dimensions and I want to say they were 5 ft. I think it's called Diamond Braid Rope, are you sure it's 5/8ths and not 5/16's? Winget, that's what I am asking. 5/8 seems real big but I seen 3/8 and is pretty common in diamond and cotton. Let me see if I can find the old post with the dimensions in a photo. Ok, talked with a sailing friend (Scoutmaster: Boy Scouts, Sea Scouts) in last night, he offered up they make it for horse lead and bridles as the horses will eat the ropes, they make it in cotton so they won't get sick. 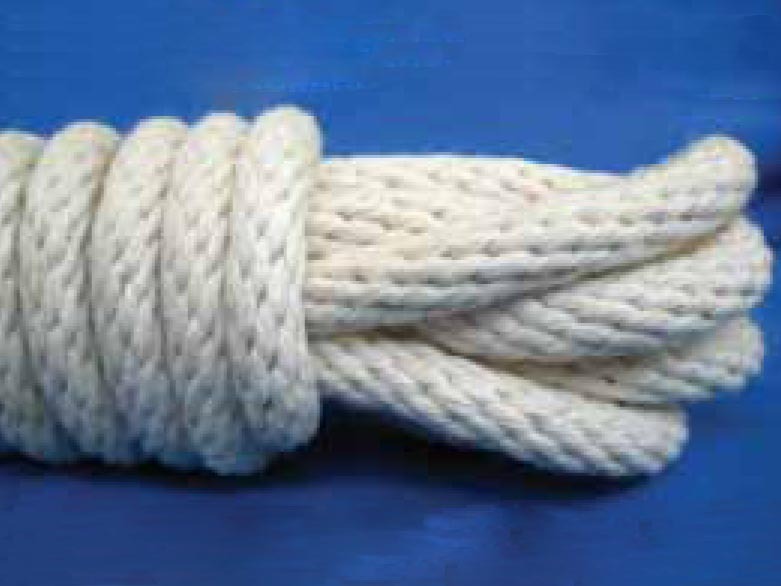 View of type of rope. Hard to see, but is the steel crimp and open type sleeve that is wrapped then swaged? or a closed tube that is swaged top and bottom to lock the ropes in? Swages seem to drift toward steel cable applications and are those ugly ovals with two holes, which are fine for that application, but not what your seeking. Only reason I mention tubing is if you ever saw the end caps for the flat straps, these are metal cups, which when laid flat and struck with simple hammer blow forming into the tab we see on the end of the strap. If I was going to do this at my place I would try a few different pieces and see what the results were. You can only make it "correct" once. OK well here are the handles with raw undies leather. These are hand sewn , not perfect but a start, 15.00 was total and to date for handles, shipping and sewing supplies I am up to 105.00. Add the drop rope for 35.00 which will cover up to 2 sets of ropes this should easily be under 175.00.